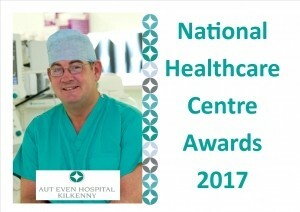 Consultant Orthopaedic Surgeon Mr Stuart Edwards and his team have been shortlisted for four categories in the National Healthcare Awards. Congratulations to all involved. Below is a summary of their findings. To evaluate the clinical benefit of tranexamic acid use in patients undergoing total knee replacement. Total knee arthroplasty is associated with substantial blood loss and the risks of transfusion. Perioperative blood loss >1 L has been reported, resulting in a longer hospital stay and delayed rehabilitation. Tranexamic acid (TXA), an inhibitor of fibrinolysis, reduces blood loss after total knee arthroplasty. A growing body of evidence has shown tranexamic acid (TXA) to be effective in decreasing perioperative blood loss and transfusion requirements in both primary hip and knee arthroplasty. Tranexamic acid is a synthetic synthetic drug that limits blood loss through inhibition of fibrinolysis and clot degradation. It was initially introduced more than 40 years ago in cardiothoracic surgery and has shown application in controlling gynaecologic haemorrhage and providing life-saving haemostasis in acute trauma. This is a retrospective study of patients undergoing total knee replacement. The primary outcome was the blood transfusion rate with tranexamic acid use. Secondary outcomes included length of stay and the incidence of venous thromboembolism. A total of 747 patients were enrolled in the study between 2010 and 2015. Seven hundred and forty-seven patients were included in the study (31 excluded). From 2010 to 2012 no tranexamic acid was given. In 2013 and 2014 only intravenous TXA was given and in 2015 both topical and intravenous TXA was provided depending on risk factors. The transfusion rate (pre TXA) for 2010-2012 was 6%, 5% and 10.5% respectively. In 2013 and 2014 it was 8% and 5.6%. In 2015 no patient was transfused (0%). Anecdotally patient limb swelling, bruising and postoperative pain was improved. Patient average length of stay decreased by 1 day from 4.5 to 3.5 days. Though during this period the rapid recovery programme had changed to mobilise patients with crutches the first day. We reported no increased thrombotic events. Perioperative blood loss is a significant concern for patients undergoing total joint arthroplasty. Conservation of blood products, reduced laboratory costs, and shorter hospital stays are likely the major factors driving the cost savings associated with TXA use. Both autologous and allogeneic blood transfusions result in increased costs, carry the risks of disease transmission and transfusion reaction, and have been associated with increased rates of periprosthetic infection. Our retrospective study noted a significant reduction in blood transfusion and shorter hospital stay. Our study has revealed that despite the mode of TXA administration blood transfusion rates are significantly reduced and there was no increased risk of thrombotic events.